In preparation for my June 7 interview in London ANCIENT ALIENS sent me off on another remarkable research quest with a simple but fantastically complicated and bottomless-ly interesting question. Do creation stories, they asked, as told in the Bible for instance, suggest that the biology of mankind is tied to that of otherworldly beings? If so, might this mean that an “otherworldly creator” may have imbued us with its DNA? And how so? These questions have HUGE ramifications in today’s world of AI and Transhumanism and are fundamental to our ascension. Follow me on this journey to an astounding revelation. Creation stories, particularly the book of Genesis, tell us humans were made in the image of God. This belief is foundational to Judaism, Christianity and Islam, and therefore, is the operating principle of several billion people. But how many give enough thought to what this actually means? God said, “Let us (Elohim) make mankind in our image, in our likeness, so that they may rule over the fish in the sea and the birds in the sky, over the livestock and all the wild animals, and over all the creatures that move along the ground.” So God created mankind in his own image, in the image of God he created them; male and female he created them (Genesis 1:26-27). 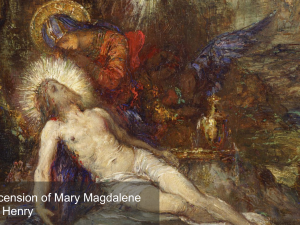 The precise meaning of the “image of God,” or “imago Dei” in Latin, has been debated for centuries in the church and now in the lab. Do we resemble God because we share DNA? Did God ‘come down’, incarnate, and take flesh and blood human form in order to make us? Are we made from a mold? Is the God of the Old Testament a physical being? The answer is yes/no. Although God is Spirit (John 4:24) and does not have a body like a man, when He appeared visibly to men according to the Old Testament record, He did so in the form of a human body. Philo, writing in Alexandria in the first century, knew the very name Israel meant ‘the ones who see God’. If this theophany (visible manifestation to humankind of God) was in human form, as a human being who walks and talks and cares and acts, this means there is something about the human body which is uniquely appropriate to God’s manifestation of Himself. He must have designed the human body and coded our DNA with this in mind. Why else wouldn’t God appear as an orb or some other form? The Bible then tells us of the operation God performed on Adam, the result being his companion, Eve. Was the creation of Eve the first cloning? Was the ‘rib’ (Adam’s body) from which Eve was made in the image of God and automatically Eve was therefore also in the image? Is the image transmittable through DNA? These are questions believers of Judaism, Christianity and Islam must answer and ANCIENT ALIENS seeks to explore. 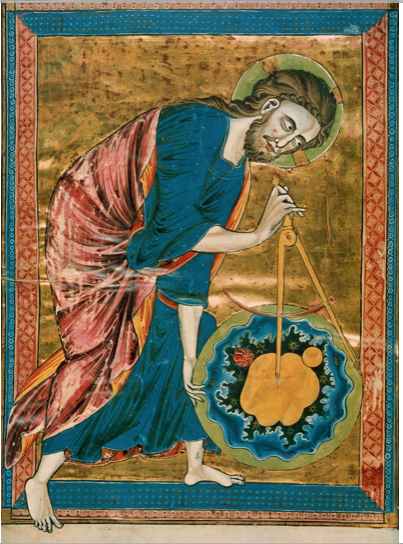 Some believe the image of God relates to our unique cognitive abilities. We know that many animals have intelligence and feelings. Facebook is loaded with videos of animals displaying compassion and emotions that humans possess and can learn from. But there is a gap, a huge gap, between what animals do and what humans do with their intellect. Genesis argues that this is because we have the image of the Creator. Animals don’t. We also have a neocortex that has been activated, making us smarter than anything else on the planet…until now. With the rapidly approaching Singularity we will soon enter a time when the machines we have created ‘in our image’ will be more intelligent that we are. Genesis says we were created to rule over all the other animals on earth. It says nothing about the machines we make, leaving open the possibility that we could be ruled by AI. The handwriting is already on the wall. Is this what we get for playing God? Many speak of a “ghost in the machine” that separates us from all the other creatures on earth. We have the “ghost/image” and animals don’t. The same can be said for AI. It has no spirit. As humans, we have ‘smart souls’ that give us our spiritual capacity for a relationship with God and the ability to fulfill our commission to represent/rule God’s kingdom on earth. By extension, we have a biological continuity and consciousness connection with the otherworldly beings who created us. We are quantum star seeds ‘entangled’ with this entity. So, if all human life is sacred because all humans are made in the image of God, then a sacred human life is one spent tending to, and loving, God’s garden. Not decimating it. But what happens if we tamper with this body? If humans take it upon themselves to evolve will we still be made in the image of God? Transhumanists — meaning many of the largest corporations in the world — seek to ‘perfect’ the human body by merging the human body with AI and machines. This blurring or merging with technology is the agenda of the global elite and will result in a mighty powerful human being. But, will this close the gap or widen it? Is AI God’s way to altering the Image? Or is AI an alert that something else is toying with our Image? I have discussed these questions in my books and articles, especially Pinocchio and Transhumans: Can Human Puppets Ascend? My basic thesis is that the only way to overcome artificial intelligence is to activate our Ascension Intelligence. This is where a true understanding of the image of God comes in. More than just having a humanoid appearance, we learn God’s body is luminous and rainbow like. The eye witness accounts are consistent and tantalizing. shining with the glory of God. Its radiance was like a most precious jewel, like a jasper stone, clear as crystal. Even more astounding are the accounts that say God’s light is transmittable, as for example, in the story of Moses experiencing God in the Burning Bush and emerging with his face glowing. 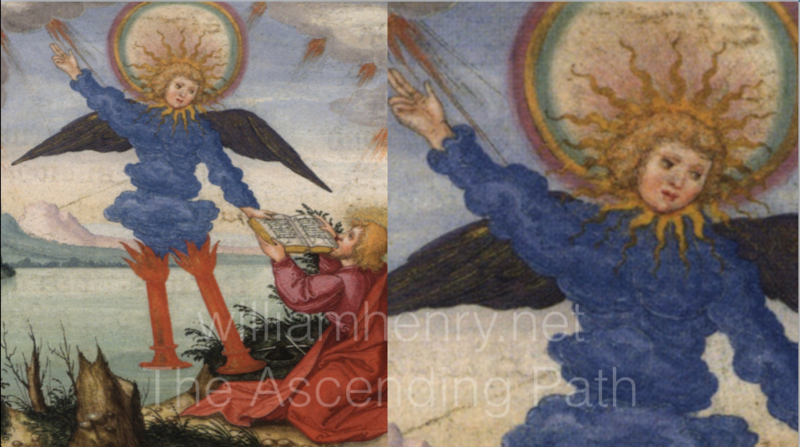 Then there is 2 Enoch 22, which describes the transformation/resurrection of Enoch into an angel. In the text, Enoch ascended to the throne of God. The Lord told the archangel Michael to remove Enoch’s earthly clothing (his earthly flesh) and to anoint him with an oil that clothed him in the garments of glory. Enoch saw himself clad in the garments of the angels and experienced the transformation into ‘one of the glorious ones’ (2 Enoch 22:4-10). By ‘glory’ is meant Enoch was ‘glowing rays’. If the Mighty Angel of Revelation is an exemplar, we can presume Enoch was glowing rainbow colored rays of light. The reason is because he had been transformed or born again… into the Rainbow Light Body. 2 Enoch was likely written by the Essenes in Egypt. 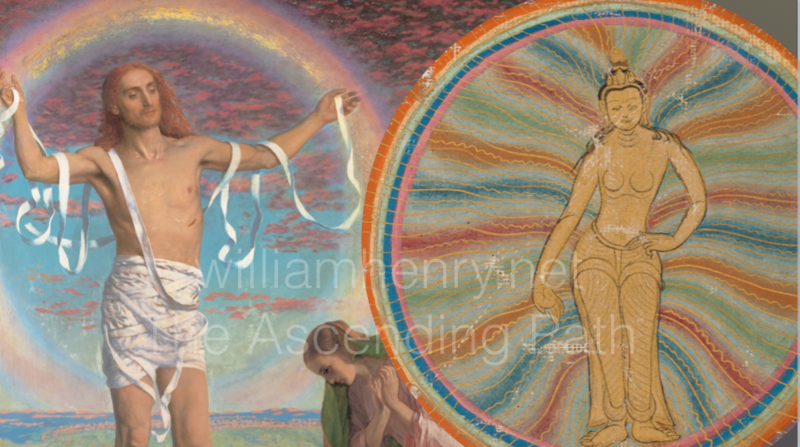 I fully explore it in my forthcoming book Risen: The Essenes and Human Transformation Into Angels in which I link Essene ascension teachings with the Tibetan Great Perfection or Rainbow Light body practice. As I will demonstrate, the Essenes were clearly chasing rainbow light bodies. With this in mind, let us return to Genesis. Notice that in this verse it states that Elohim made humans in his image. ‘Elohim is a plural noun and is translated as “gods,” “divine beings”. The best understanding of Elohim seems to be the “strong one” or the “mighty one.” As exemplified by the angel who visited John the Revelator, to be a Mighty One means to radiate rainbow light. 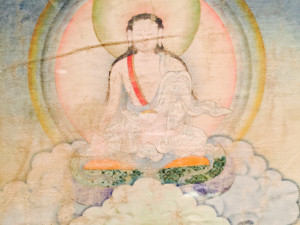 This light body is referred to in Tibetan Buddhism as the “Perfect Light Body”. As we can see here, it is the same as the Resurrection or Glory Body of Christ. The Rainbow Light Body is the true image of God in which we were made. 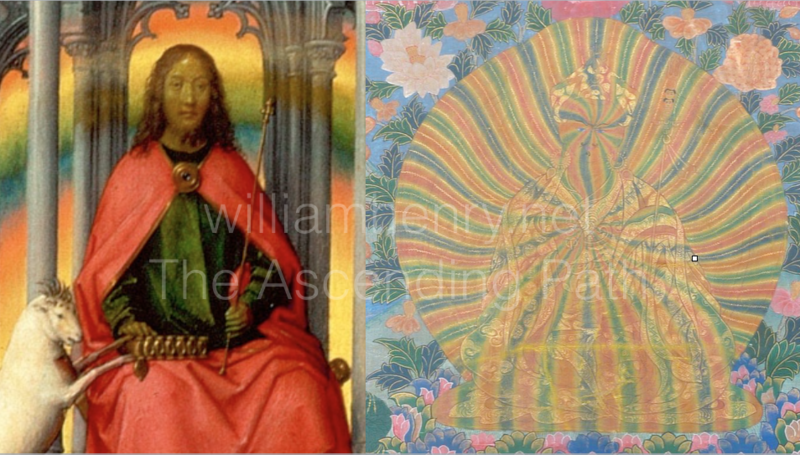 Christ’s Resurrection or Glory Body matches Padmasambhava’s Rainbow Light Body. Paul explained that this radiance was part of the Christian hope: ‘And we all, with unveiled faces, beholding/reflecting the Glory of the Lord are being changed into his likeness, form one degree of Glory to another’ (2 For. 3:18). Genesis defines this image as male and female. From this we can conclude that the attributes of God are both masculine and feminine. We can then surmise that he placed his masculine attributes within the man and his feminine attributes within the woman and when a man and woman come together (as in marriage, or in the unity of inner male and female sides within) and become one (See Genesis 2:24), they together become the image of Elohim. This male-female duality is encoded in Genesis 1:4 where we read that “Elohim separated the light from the darkness.” The word for light is feminine while the word for darkness is masculine. This tells us that we have a dual nature. We are part male and female, and part earthly and heavenly, part light and part dark. Our goal, as humans, is to balance these polarities. My point in elaborating this light/dark, male/female duality within is that it infers there is a time when our bodies will be flesh and a time when our bodies will be more like God’s, radiating rainbow light, and we will better bear or more closely resemble the image of God. It also opens the possibility that there is time when humans will be flesh and blood and a time when we will be cybernetic; a time for flesh and a time for cyber flesh. Personally, I am not advocating that this time come. At least until we can definitively answer the question of whether or not a Transhuman body is made in the image of God or until we fulfill the commands of Jesus to love with all our heart, mind and soul and to love our neighbor as ourself. Interestingly, in esoteric thought, the original image of Adam and was a physical, visible humanoid, but it was not a flesh and blood form. They had bodies of light. They were shining ones like the Elohim (the ‘We’ in whose image we were created). When Adam and Eve fell from Eden they transited from one state of being, a light being, to another, with flesh and blood bodies. 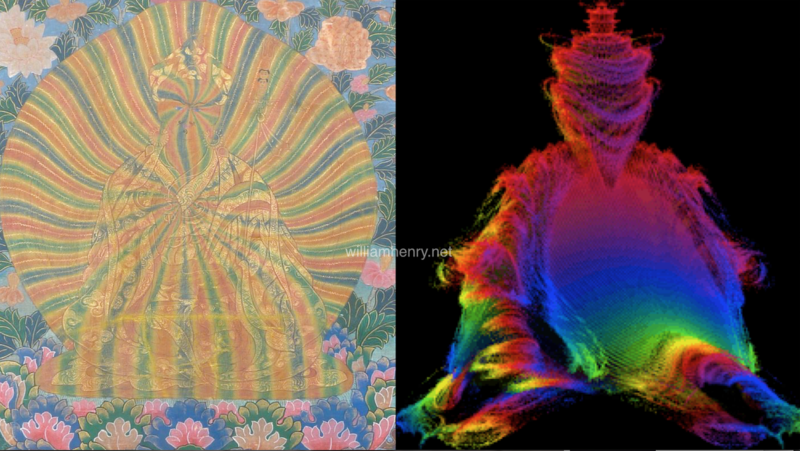 As I noted in We Be Beamers : Quantum Starseed Entangled in Mystic Union With Christ, the shape of the Rainbow Light Body matches the Mandelbrot Set and the Buddhabrot, and brings a strong confirmation of my theory. In my view, this light body was the original image that is referred to in Genesis. The desire to repair the Imago Dei in one’s life can be seen as a quest for perfection or wholeness, or one’s “essential” self or Ascension. When John Calvin (1509-1564) and other Reformers wrote of the image of God as the original righteousness of humans before the Fall they meant to say the righteous body of Adam and Eve is the perfect (rainbow) light body. The Fall is our shift from our original, perfect, light bodies into our flesh and blood bodies (that live in sin). When first created, we reflected God’s “wisdom, righteousness, and goodness” and His light body. But, as Paul teaches, that image — the light body — was tarnished by sin and is being restored in Christ. The gospel is the “Good news”. It is the Word (Vibration) or Work of Christ. The good news of the gospel is that Jesus lived a life of perfect righteousness, of perfect obedience to God, and perfect love, not for His own well being but for His people. But not only has He lived that life of perfect obedience, He offered Himself as a perfect sacrifice to satisfy the justice and the righteousness of God. 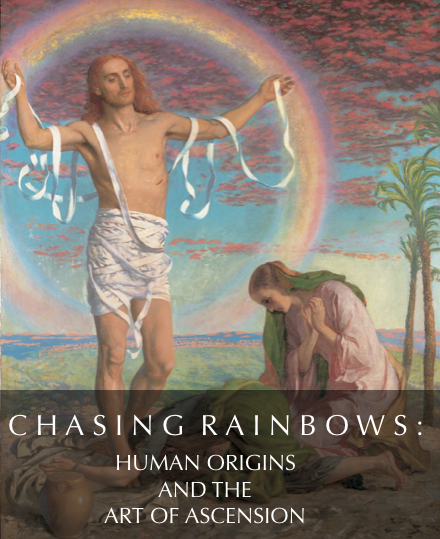 Read from the perspective of esoteric Christianity, in his sacrifice Christ manifested his rainbow light body, sending a message through the DNA of all future generations. He restored his body to its original image. Luminous. Humanoid. Radiating rainbows. And he left a trail for us to follow. 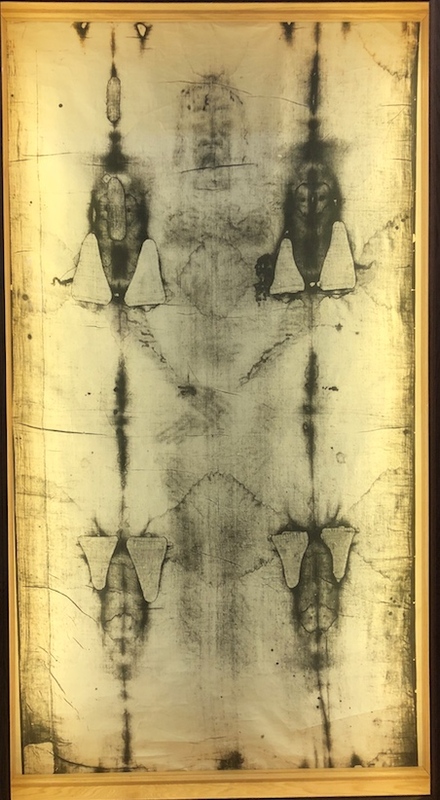 The image of God is found on the Shroud of Turin, the linen burial shroud wrapped around the body of Jesus in tomb/chamber of resurrection. Clare and I have experienced the Shroud twice, once in 2010 and again in 2015. Both times we had energetic spiritual experiences with it. In 2015, Pope Francis did more than rebrand the Shroud when he called it an Icon of Love. He told us exactly what it is. In Christian speak, an icon is an image that is capable of transmitting spiritual power or force. Icons put us face to face, image to image, with the Face of God. Neuroscientists have looked for evidence that an image can ‘show us the way’, as the Gnostics said. 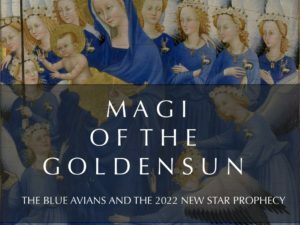 In Arcanum on Gaia and in our workshops, Clare and I have made a pioneering effort to document the power of sacred art to transmit the vibration of holiness and righteousness and to restore or regenerate our rainbow light bodies. In my view, this the lost secret, the “unwritten mysteries” of Jesus. These mysteries could not be expressed in words, but could be transmitted through an image. They made God present. 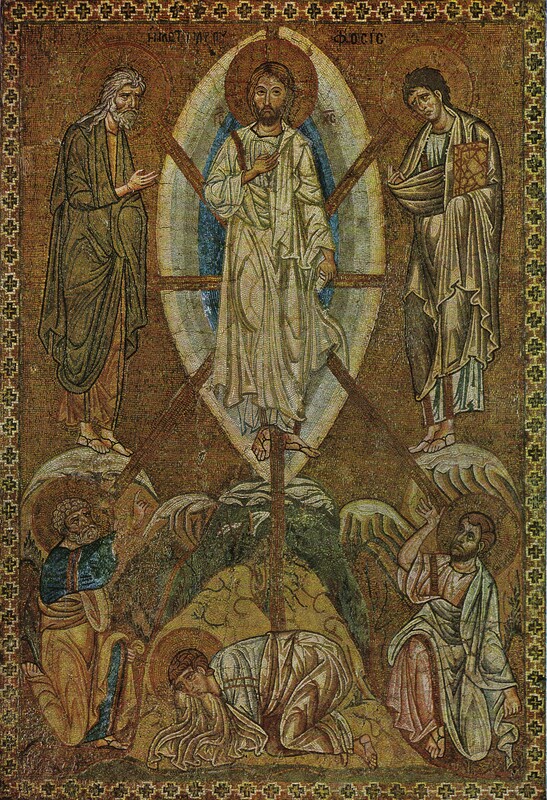 Most Christians do not know of the power of sacred images, especially the art of ascension, because they are unfamiliar with the temple teachings of Jesus and his quest to restore the original teachings of the Jewish people, including the image of God in a rainbow body, ascension and the power of images. Like the Ark of the Covenant, the curtain, the altar, the urn of manna, the Asherah, Aaron’s rod that budded, the tablets of enlightenment, and the ascension teachings, images were removed in a purge of the Temple’s mystery teachings by Josiah in c. 630 B.C. The Old Testament frequently uses the word “image” in the context of idol worship, which is banned. In the ancient cultures of Egypt and Canaan, people made images of their gods from metal and wood and set them up in local temples to worship. An image of the female goddess, Asherah, was set up in the holy of holies of Solomon’s Temple. Again, the image makes the God present to all who see it. In the Ten Commandments, God prohibits his people from making such images (Exod. 20:4-6), supposedly because God cannot be contained in, or even represented by, an idol made by human hands (see Is. 44:6-20). Therefore Israel’s temple contained no physical representation of God himself. This would be a very good reason for any Jewish transhumanists to cease and desist making fake human beings or false idols. 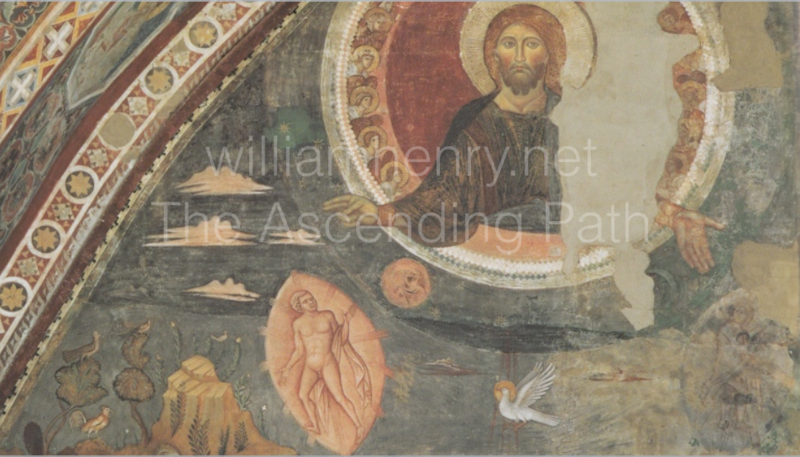 The early Christians reverted to the use of images as a practical way to ascension. Clare and I seek to rediscover and re-present this original teaching. 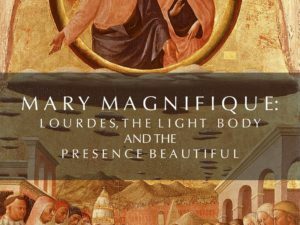 This is most plainly seen in the creation of images of Christ’s Transfiguration or metamorphosis into light. Some propose the event in which Jesus bursts into light that resembles the Sun is misplaced in the middle of the Gospel narrative. It should be at the end of the narrative as it is a record of a number of disciples witnessing the moment of resurrection. The first Christians used these images as a way to receive the light of Transfiguration until the 6th century when the Islamic scholars accused them of being idol worshipping hillbillies. The church fathers in Byzantium agreed with them and destroyed all possible icons and banned their use. With this in mind, we now can see the “image of God” in a new light: it suggests God create us as his living images. In fact, it is possible to argue grammatically for the validity of the translation ‘as the image of God’ as opposed to ‘in the image of God’. … The Hebrew phraseology here denotes not so much the manner of the creation of the human being (i.e. the “mold” out of which humans are created), but rather the intended function of the human being in the world. Humans aren’t just made in God’s image, they are called to be his image in the world. It seems to me that God has put humans like an angled mirror in His world so that God can reflect His love and care and stewardship of the world through humans and so that the rest of the world can praise the creator through humans. Now, the question is, can a Transhuman being better serve this purpose? I shall explore this question in a later blog.